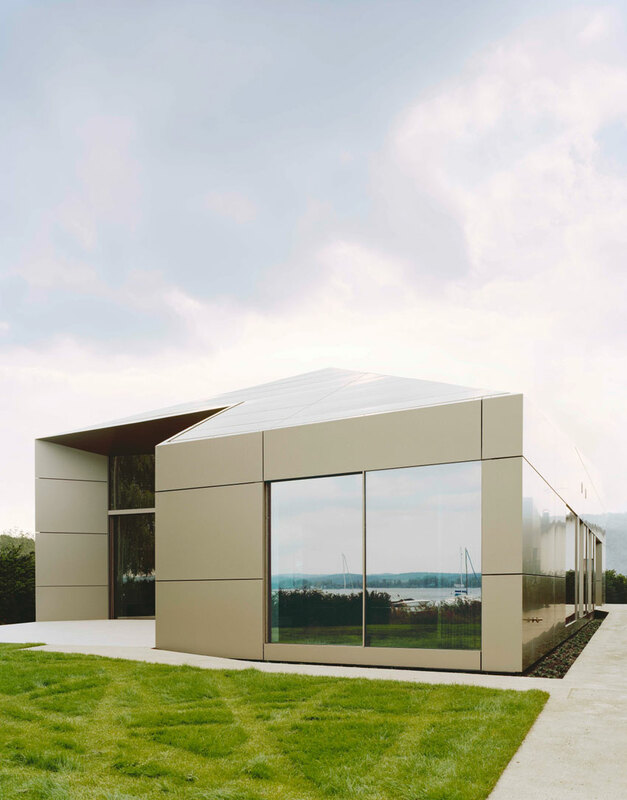 Lake Constance, at the foot of the Swiss Alps, contains a stunning vacation home whose sleek interior pays homage to the 1960’s bachelor pad, while the exterior is something far more futuristic. 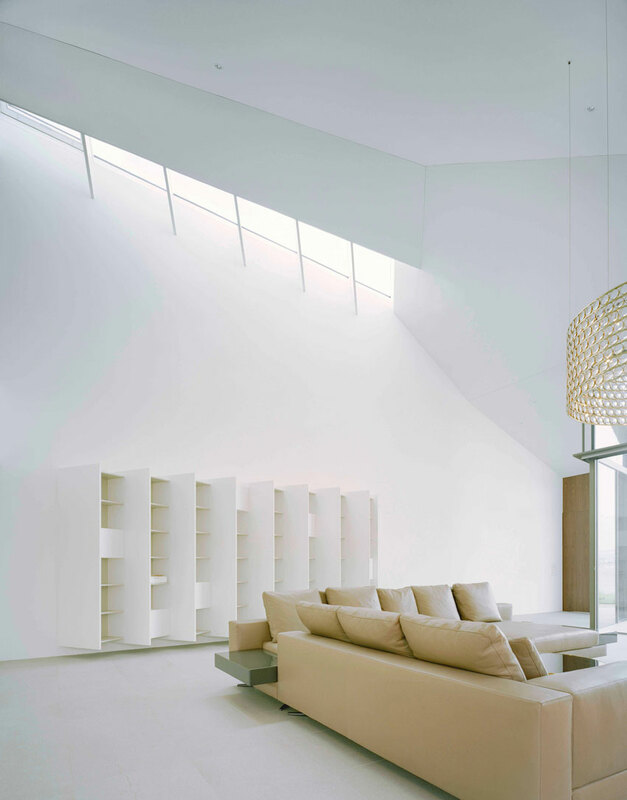 Skylights hit the pure white interior of the Villa Moos with daylight creating a grand juxtaposition between the home’s bronzed exterior panels. 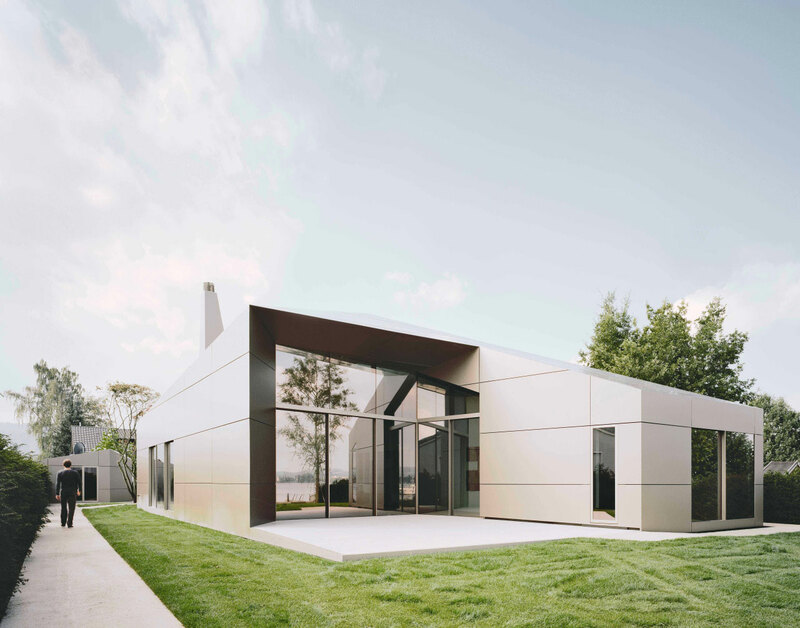 Enveloped entirely in Alucobond Plus anodized panels, the exterior is reminiscent of the space age, not often seen in small-scale residential design. 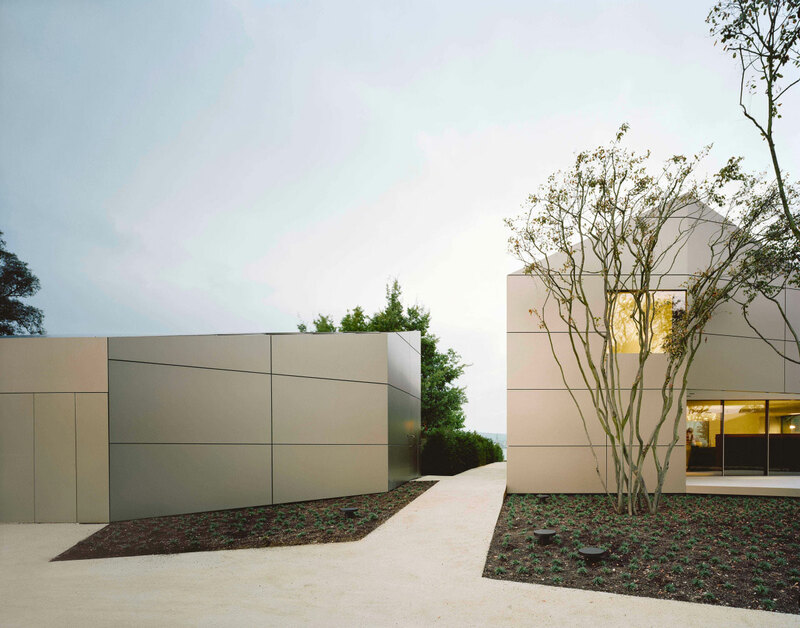 The lush green grass, the concrete pathways, the darkened ominous windows, all create a sort of “rhythmic sequence” expected in the work of German architecture firm Biehler Weith Associated. The serine environment surrounding the home allowed for it’s “zen-like” properties to thrive. Including all the amenities expected in a luxury home plus a private harbor for the owner’s speedboat and an extensive garage for his vintage car collection. Often designers, and even homeowners, find metal exteriors to lack the warmth associated with residential design. 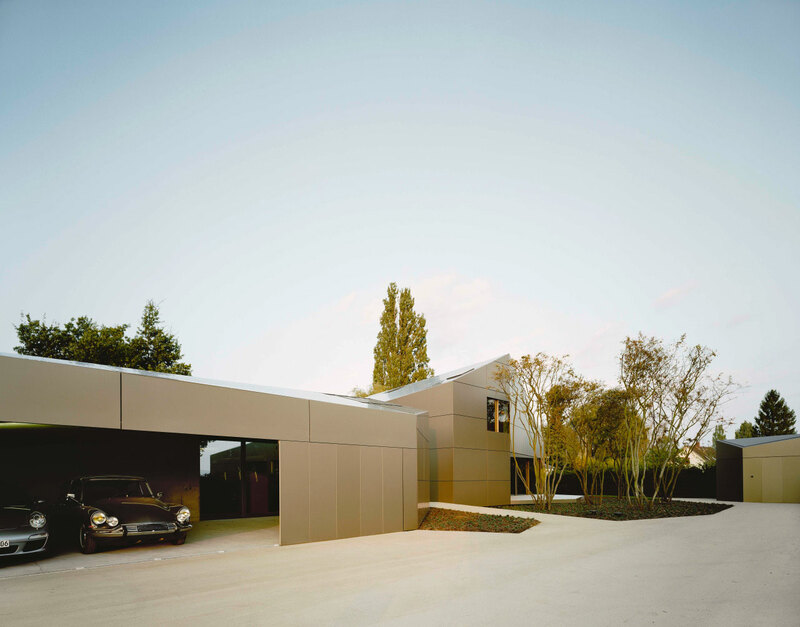 Villa Moos showcases metal’s ability to create the ultimate home, with the warmth one would expect from traditional building materials. Except for the very first image, the exterior panel color seems a lot more yellow than the anodized clear sample that I have. Does anodized clear panel have a yellow-ish tint to it?